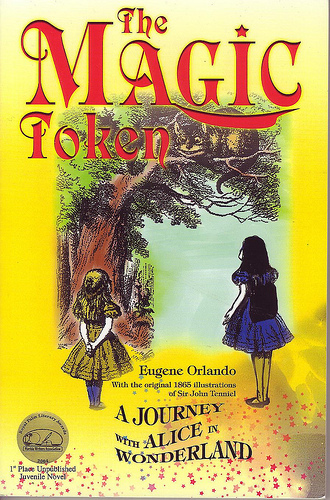 The Magic Token: A Journey with Alice in Wonderland by Eugene Orlando. Printed to order by iUniverse. 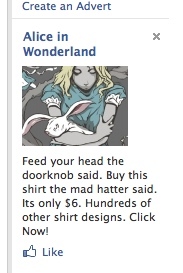 A modern girl travels through Wonderland with Alice. It’s Walt Disney meets H. G. Wells’ Time Machine when Emma Thomas’ best friend loses the silver dollar that Emma loaned her for a seventh grade school project. Dana offer’s her twelve-year-old friend a replica of a magic token once owned by Charles Dickens. Reluctantly taking it, Emma scoffs at the claims on the magic token package that the famous 19th century author used it to time travel for his book research. During an argument with her younger brother, Emma accidentally wishes herself back to 1862 and joins Alice in Wonderland. Along their journey Emma breaks up the Caucus racers, acts as policewoman for a loud-mouthed Duchess and her pan-throwing cook, trades insults with the pipe-smoking Caterpillar and the grinning Cheshire Cat, disrupts the Queen of Heart’s croquet match, stirs the Mad Hatter’s tea party into an even madder, madcap, madhouse, and plays defense attorney to try to stop the Queen of Hearts from chopping off Alice’s head. Having lost the magic token somewhere in Wonderland, can Emma escape, or is she trapped in Alice’s mad, mad, mad, upside-down world forever? 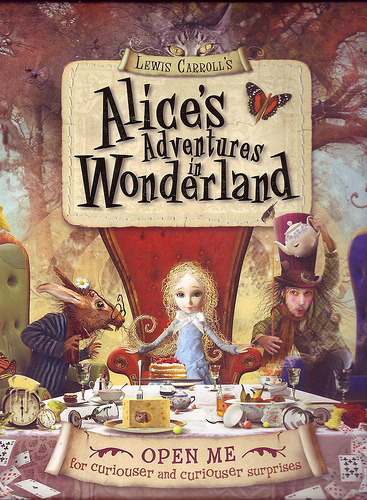 Alice’s Adventures in Wonderland, retold by Harriet Castor. Harriet Castor sold her first book for publication at the age of twelve. Since then she has written more than forty books for children, plus a novel for adults. She grew up in Warwickshire, where she attended a full-time ballet school, but gave up dancing for Cambridge and a history degree. Harriet lives in Bristol. Born in Croatia, award-winning artist Zdenko Basic graduated from the Zagreb Academy of Fine Arts in 2005. He has since illustrated many children’s books, including The Tales from Long Ago and The Cleverest Spider. In addition to his books, Zdenko works as a costume designer and scenographer. This is a really charming book: a cross between a pop-up, a picture book and an advent calender. I’m trying to resist the temptation to open all the little doors and keep the book mint, but I suspect I’ll succumb soon: it’s just too sweet to leave alone. The only confusing thing is that it’s Alice for younger children, but is marked “NOT suitable For children under 36 months due to potential small parts which may cause choking”. Bloody H&S. Grrrrr. 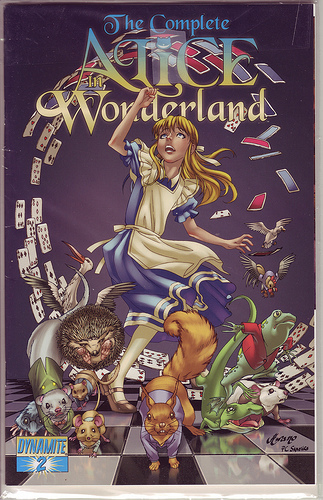 The Complete Alice in Wonderland: Dynamite Comic written by John Reppion and Leah Moore. 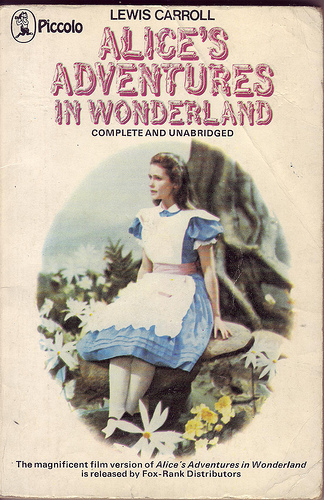 Full adaptation of Alice’s Adventures in Wonderland in two comic books. My copies were bought on ebay for much cheapness. 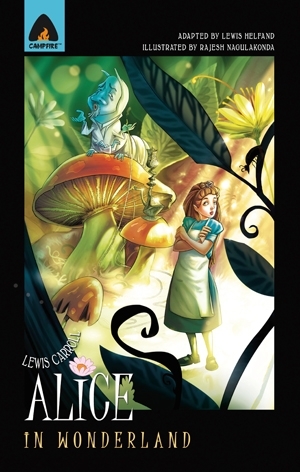 Alice in Wonderland (Graphic Novel Adaptation) by Lewis Carroll, adapted by Lewis Helfand. Published by Campfire, 2010. Paperback. Does what it says on the tin, really: graphic version of the original story. 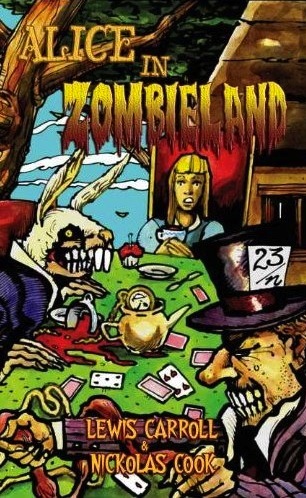 Alice in Zombieland by Nickolas Cook. Published by Coscom Entertainment, 2009. There’s also something else troubling poor Alice: her skin is rotting and her hair is falling out. She’s cold and there’s the haunting feeling that if she remains in Zombieland any longer, she might never leave and forever be caught between life and death.